For years vein specialists have been searching for the best way to eliminate varicose veins. Ultrasound Guided Sclerotherapy blocks the blood going into varicose veins, providing long-term relief of vein symptoms. However, the vein still has a small chance of reforming and, at some stage, becoming a problem again. So wouldn’t it be great to get rid of the vein completely? Lasers have been used for a long time to treat medical problems. So why not large veins? At the Crows Nest Cosmetic & Vein Clinic we use the Cooltouch Endovenous Laser which destroys the vein lining by heating the vein wall. Laser light at 1320nm is absorbed by the water in the cells that line the vein wall. 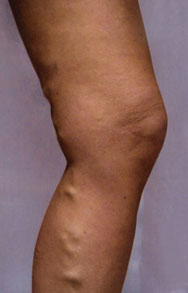 The result is that the vein is destroyed by damaging only the small amount of the vein wall necessary to close it off. This means less bruising, less discomfort and an almost instant ‘vanishing’ of the vein. EVLA is a procedure used in the closure of large varicose veins, usually over 6mm in diameter. The vessel also needs to be straight so the laser fiber can be passed up the vein. Ultrasound is used to locate the vein during the procedure and local anaesthetic is injected at the site of needle entry to numb the area. A needle is put into the vein and the laser fiber slides up close to the vein origin at the top of the leg, its location is monitored constantly with ultrasound. Local anaesthetic is then gently injected around the vein using an anaesthetic pump. This eliminates the need to use multiple injections to numb the length of the vein. After the local anaesthetic you won’t feel any pain when the laser is turned on. This process only takes about 3-5 minutes depending on the length of vein to be anaesthetised. When Dr Roberts is satisfied the Laser fiber is in the correct position and adequately anaesthetised, he starts to laser the vein. The laser fiber is retracted automatically by the laser machine at a rate of 1mm per second, sealing the vein permanently. It takes about 4 minutes to close the vein instantly and permanently. 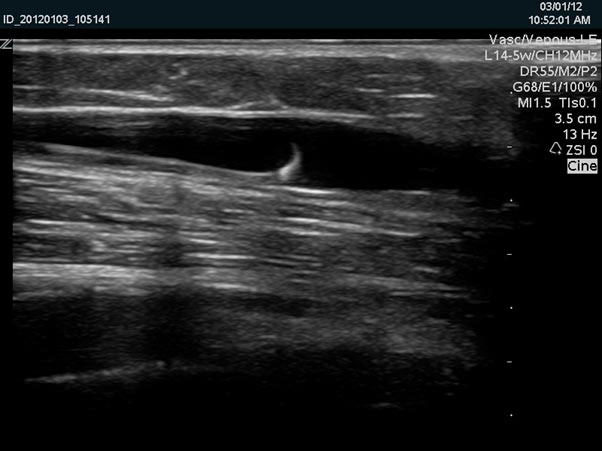 After the Laser has been completed, a series of ultrasound guided sclerotherapy (UGS) injections are done below the laser site to close the veins in the lower leg. The vein treatment takes about 40 minutes in total. Compression stockings are fitted afterwards and you go for a half hour walk before you drive home or return to work. The following day, or a day of your choice, the leg is completed by ultrasound guided sclerotherapy. This takes 30 mins per session followed by a 30 min walk. A compression stocking is worn for 2 weeks. 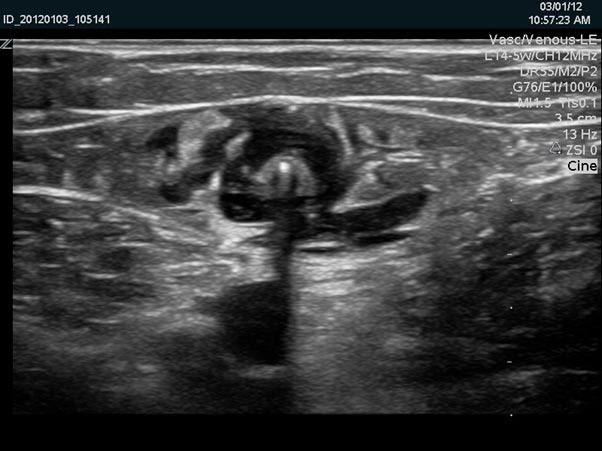 A check-up ultrasound scan is done to ensure vein closure, this is performed at 1 month, 2 months and 6 months after the laser vein treatment. These check-up scan are very important to avoid the regrowth of varicose veins. ALWAYS BRING YOUR STOCKING TO EACH VISIT as there maybe some small veins to treat (at no extra cost). At all times you can contact Dr Roberts for any concerns or questions before, during and after treatment. At no stage do you feel you are alone. Clinical studies show that this form of vein treatment is the best long-term solution to treat large varicose veins. The Crows Nest Cosmetic & Vein Clinic has performed more than 2000 Endovenous Laser Ablation procedures with an extremely high (98 per cent) closure rate and a very high degree of patient satisfaction. The vein treatment is quick and requires limited or no time off work. Also no sedation or general anaesthetic is required, so you can walk straightaway after the treatment or drive home.